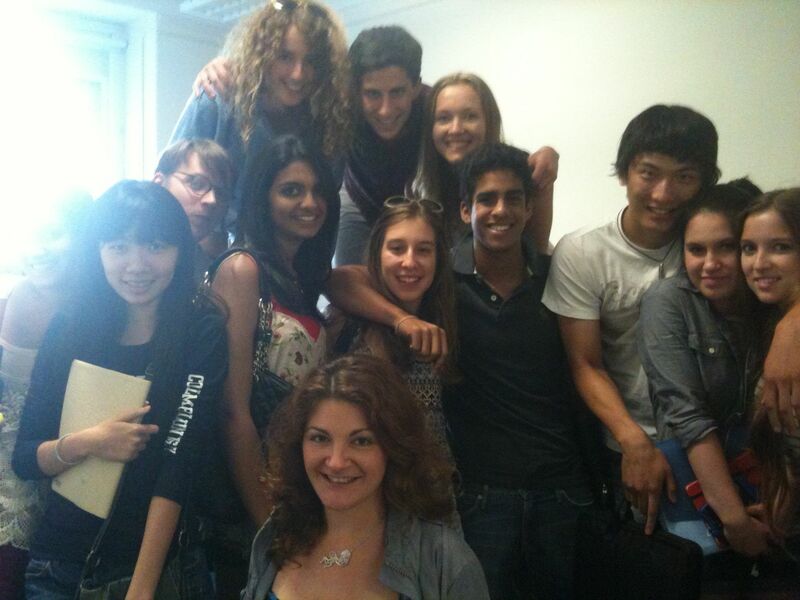 Starre Vartan with her Summer, 2011 writing workshop at Columbia University. I taught Journalism in the Columbia University Summer Writing Program from 2009-2013. During the 2010-2013 sessions, I also ran writing workshops with the students. You can see the students’ work on their group final projects for Journalism, “Off the 1” and “Beneath the Ivy“. I also teach creatives how to blog, and how to set up a mission-based company at FA360. I’ve spoken at a number of events, both as part of a panel and as the featured speaker. Saturday, November 19th, 2012: “Breakthrough” speaker at TedXHewitt, in New York City. October 27th, 2011: Keynote Speaker at the Iowa High School Press Association Fall Conference, Iowa City, Iowa. “We’re All Reporters Now: Inclusive Journalism in the Digital Age (and why that’s a good thing)” I also taught a session on social media following my speech. Monday, July 18th, 2011: Prancing Leopard’s debut of their new collection at Jivamukti Yoga Center in NYC. I was part of a panel discussion including Elena Brawer and Majora Carter. November 10, 2010: Panelist at Ecover’s “30 Under 30” Event at Environment Furniture, NYC. Topic: What is the Future of the Green Movement? As part of Hatchfest, I also mentored recent journalism majors prior to and after the panel discussion.